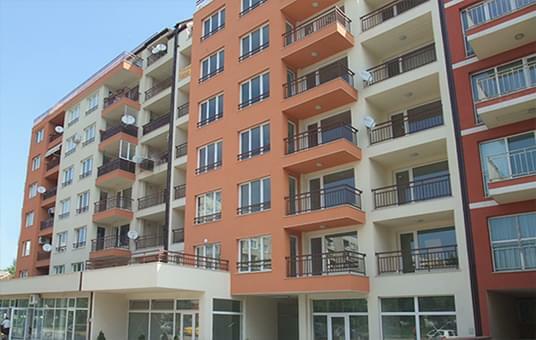 "CITY-EURO" Ltd has long-term professional experience in planning and overall construction of residential, industrial and office buildings, as well as experience in additional activities like machine laying of floor coverings, execution of different types of construction and assembly works from the final phases of the construction process etc. 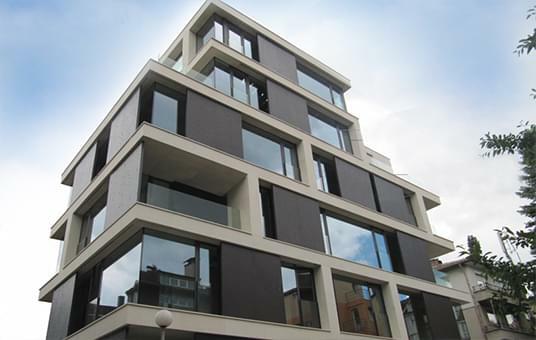 In recent years, our achievements have allowed us to execute projects of low - energy buildings. Good construction practice is achieved thanks to the excellent team, the innovative technologies and the cooperation with partners having similar high quality criteria. The prices of our services are attractive. 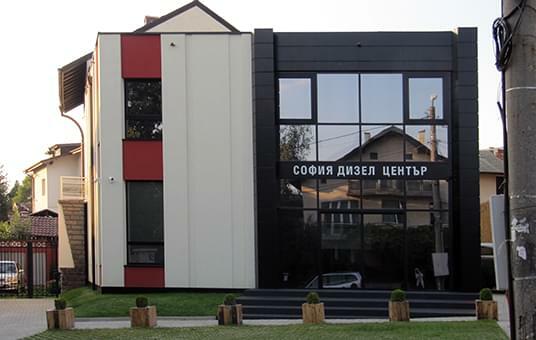 The company is a regular member of the Chamber of Builders in Bulgaria and is listed in the Central Professional Register of Builders in First Group of Buildings from category ІІI to V.
In order to achieve results in terms of energy efficiency, it should be considered during the design stage of the building and any action is taken. Account must be taken of the client's specific requirements, as well as the technical possibilities for their realization and the planned budget. When the details are known, thanks to specialized engineering software for building energy design, we are able to plan the implementation of the optimal energy efficiency solutions. 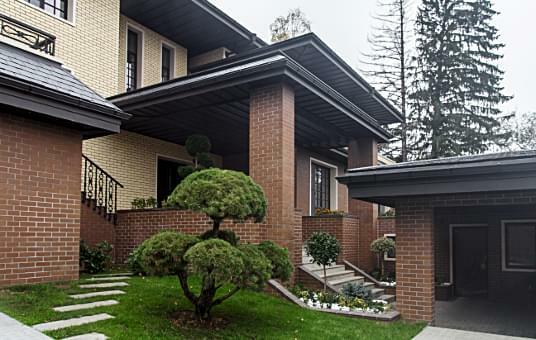 We can give you our professional opinion at every stage of the building process, but it is important to know that the sooner we do it the the better results will be. When building is not designed to provide good indoor quality, one would use the nesessary measures to achive it, which often results to much more energy consumption than if the good indoor quality was among the priorities during the design stage of the building . For having good indoor air quality, the following parameters should be within certain limits: operative temperature, CO2, humidity, day light, air age. High energy efficiency and good indoor climate are related to effective use of existing environmental conditions and construction technologies which provide maximum comfort at low energy costs. Such a rational use of energy can be achieved by analyzing and combining together systems and architecture of a building. For this purpose, we use computational software for energy simulations. Predicting the benefits of renewable energy sources leads to a significant reduction in operating costs and is a mean of protecting the environment and preserving the exhaustible natural resources. When the building has a smaller footprint on nature, it is often called "sustainable" or "green". The main renewable sources are solar energy and geothermal energy. They can be used thanks to modern solar installations and heat pump systems. 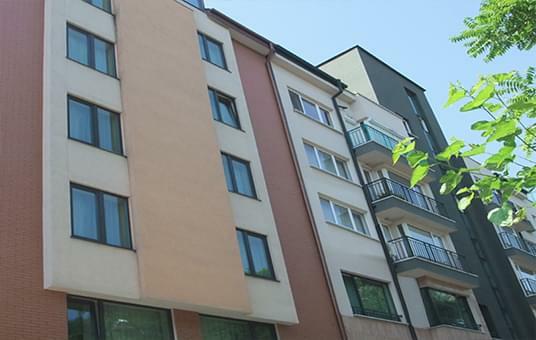 Expenses for heating and cooling of a low-energy home are 5 to 10 times lower compared to standard building built according to the Bulgarian building legislation. The difference is drastic and ends the high bills. Such an investment is strategic and increases its value over time. Within less than 6 years, you can payback the extra cost. After 2020, any building that is not low-energy building will prove to be a bad investment. 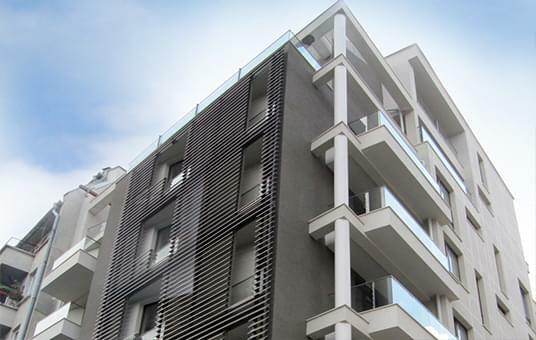 The National Plan for nearly zero-energy buildings enters into force in 2018. According to Energy Efficiency Act these buildings should fulfill several conditions: their energy consumption corresponds to Class A.; not less than 55% of the energy consumed is provided from renewable sources located on site. The aim of Directive 2010/31/EU on the energy performance of buildings is to reduce total energy consumption in the EU by 20% by 2020. 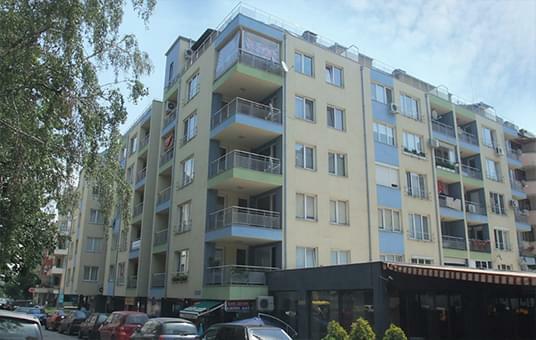 Office building with trade area and underground garages - "Tsarigradsko Shose" blvd., 4-th kilometer, Investor: BUILD SYSTEMS BULGARIA AD. Q-center project was a professional challenge, especially from a constructive point of view, because the mix of one main body and three low bodies is a combination of highly irregular in plan and high-rise buildings with very complex shape facades. 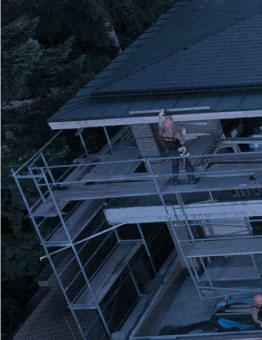 This necessitated the building separation with seismic joints in four separate blocks and using a mixed structure of beams and columns composed of frames and reinforced concrete walls and cores. The precise execution, the rhythmical and tight organization plus the saturation with sufficient equipment and qualified personnel led to the logical result - a timely and quality completion, regardless of the additional difficulty that was created by the location of the site: the roundabout on 4-th kilometer, "Tsarigradsko Shose" blvd. - the junction with one of the trafic in the capital. 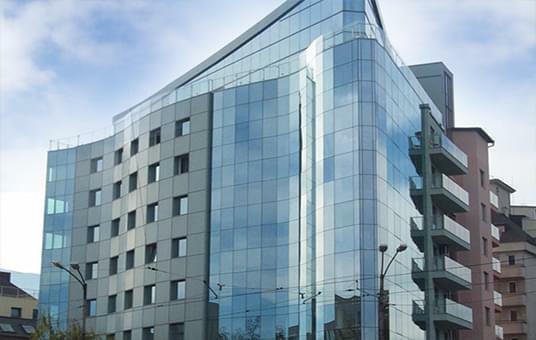 The distinguished building of Business Center Lozenets, located at the crossroad of "N. Vaptsarov" and "Cherni vrah" is the result of the combined efforts and professionalism of "CITY - EURO" EOOD and KOMERSINA COOPERATION. 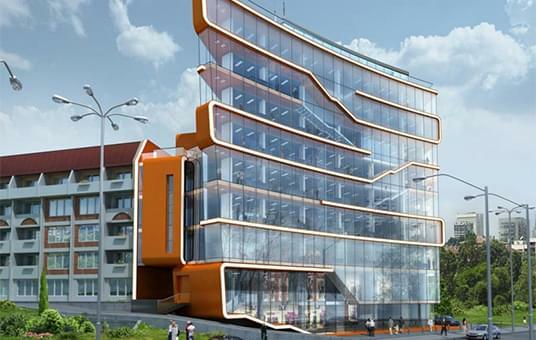 The distinguished building of Business Center Lozenets at the crossroad of "N. Vaptsarov" and "Cherni vrah" is the result of the combined efforts and professionalism of "CITY - EURO" EOOD and KOMERSINA COOPERATION. 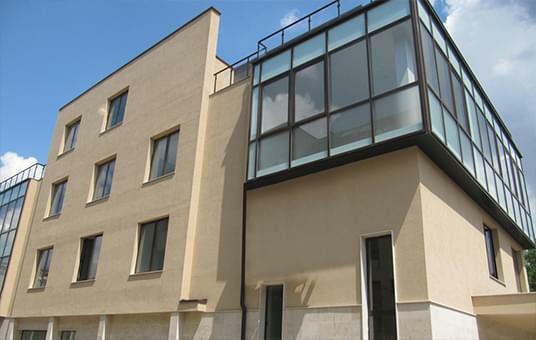 The investor control of the quality and the organization in the coordination of all subcontractors was fully undertaken and successfully implemented by "CITY - EURO" EOOD. THE MALL - "Tsarigradsko Shose" blvd. Machine laid cement sanding screed and specialized construction works on the territory of Bulgaria's largest shopping center - THE MALL, "Tsarigradsko Shose" blvd. Machine laid cement sanding screed and specialized construction works on the territory of Bulgaria's largest shopping center - THE MALL, "Tsarigradsko Shose" blvd. 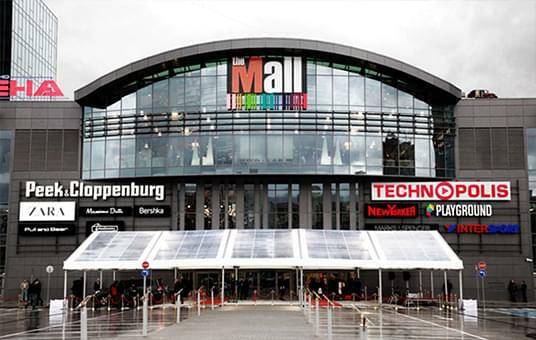 "CITY - EURO" EOOD is one of the main contractors of a machine layed cement-sand screed from tender for THE MALL - "Tsarigradsko Shose" blvd., namely: CARREFOUR, NEW YORKER, SPIDER, Marc O`Polo, ESPRIT, ZARA, PRETTY SHOP, MODESTAMENTE, HUMANIC, INTERSPORT, ADIDAS, PUMA, DOUGLAS, SEPHORA, BEAUTY ZONE, La Coste ect. 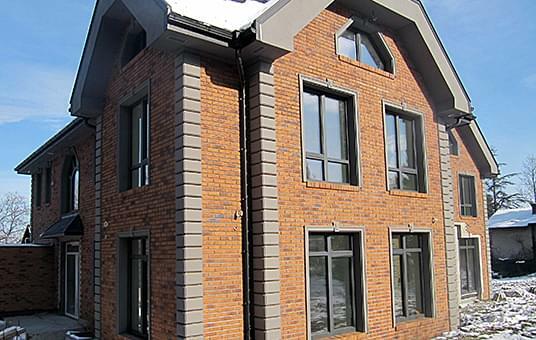 In most of the commercial areas, as required by the investors, a cement-sand screed, significantly exceeding the technical characteristics of BDS National Standart for this type of construction product, was layed,. 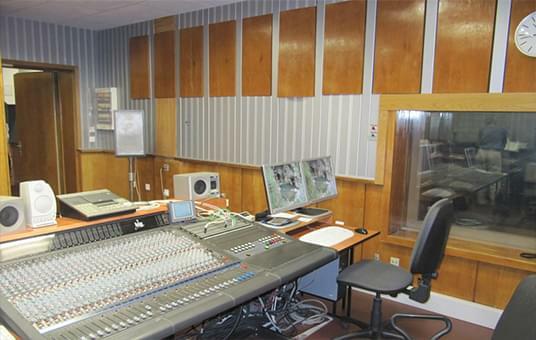 Major repairs of studio complexes №3, №37 and №38 in Technical Building - Sector B of the Bulgarian National Radio. 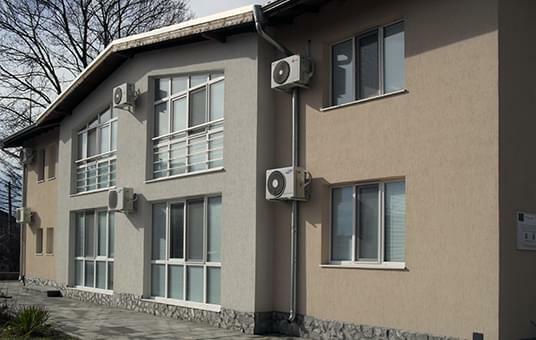 Major repairs of HVAC installation № 2, № B201, №B202 №B203 and №B204 in Technical Building - Sector B of the Bulgarian National Radio. 2011. - Cabling of ІІІ-th floor in The program-editing building of the Bulgarian National Radio, Investor: Bulgarian National Radio. 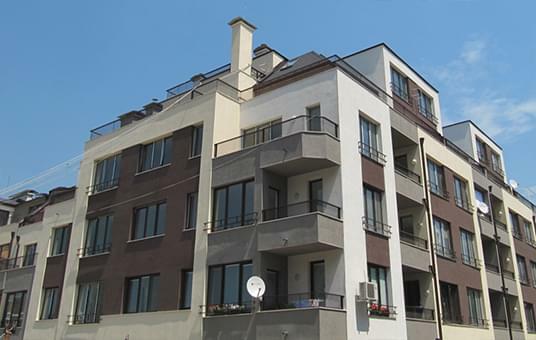 Modern residential building in Lozenets, "D. Hadzhikotsev" str. 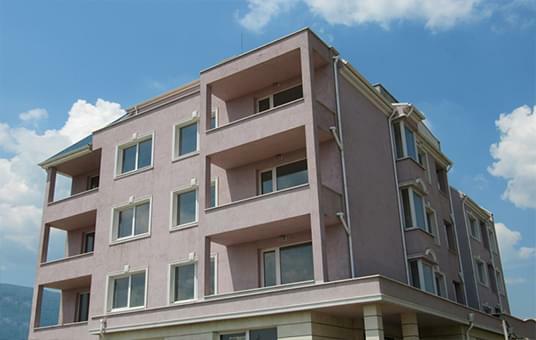 Residential and office buildings in regulated plot VII - 289, 256A, Pavlovo - Buxton, Investor: BUILD SYSTEMS BULGARIA AD "CITY - EURO" is a contractor of "Roofing, waterproofing and tinsmith works", "Cement screeds and pavements", "Plumbing works" and "Thermal insulation and plaster on facades"
Complex of residential buildings "BRIGHT LIGHT" I and "BRIGHT LIGHT" II. 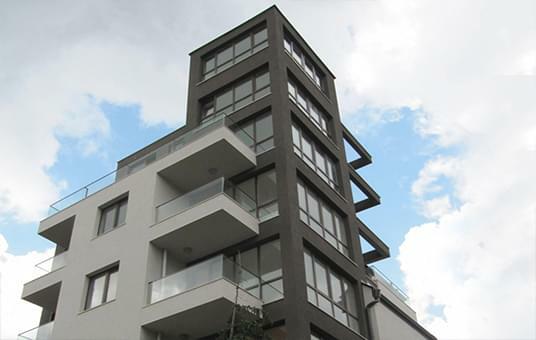 Investor: BUILD SYSTEMS BULGARIA AD"CITY - EURO" Ltd. is the main contractor of "Roofing, waterproofing and tinsmith works, "Thermal insulation and mineral plaster on facades","Cement mortars and pavements", "Water and sewage works","Hydro and thermal insulation on balconies and terraces, floor screeds and concrete flooring"
Residential building with shops, pastry shop, offices and underground garage, 26-28 "Tsarevets" Str., Investor: EUROPLAN OOD. 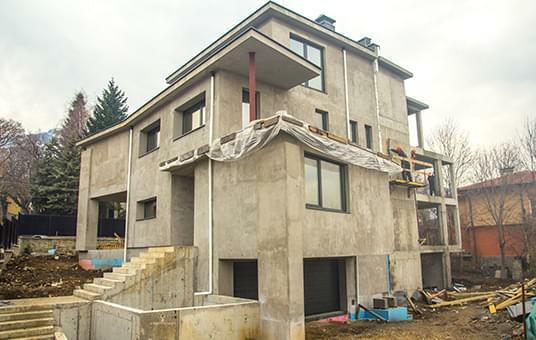 Rough construction of two single-family houses on adjoining plots with a total area of 673,3 m2. Dragalevtsi, 12 "Paprat" Str.